VETERZNAET has no current links. I'm looking for That One. Maybe you r here I'm an artist and i have one beautiful child. Family and love is the most important thing in my life. I like to painting, singing, play music instruments and I'm an adventure soul, i like to travel, going to the several places and making photo's, I love also rock festivals. I'm interested in other cultures. I'd like to visit Tibet and Mexico. 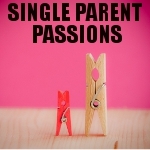 Help us keep Single Parent Passions free of spam and fake profiles.